Shellac Stack No. 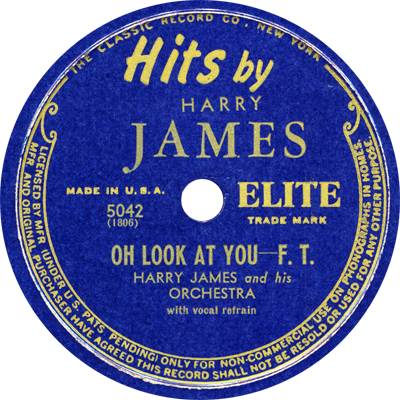 119 looks on the bright side with records by Harry James, Jean Goldkette, Jay Wilbur, the Revelers, Teddy Hill’s Orchestra, and others. With songs by George Gershwin, Mack Gordon and Harry Revel, Leo Robin and Ralph Rainger (among others), it’s a pleasant, tuneful hour. Here’s lookin’ at you, kid!